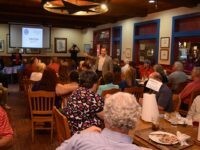 HOUSTON, Texas — There are many new folks who are now engaged in the political process, and they are asking “What is this mystical delegate and convention process?” They are also asking “What do delegates do at conventions besides voting for a presidential candidate?” County Republican Parties in Texas have been and are providing training and information to demystify this process. 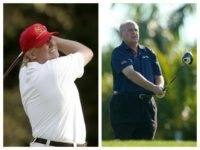 Lieutenant Colonel Oliver North (USMC Ret) will head up a star-studded event at one of the biggest Republican political events of the year, the Denton County GOP Lincoln-Reagan Dinner. Colonel North will be joined on the stage by Texas Governor Greg Abbott and Lieutenant Governor Dan Patrick along with newly elected Republican Party of Texas (RPT) Chairman Tom Mechler. State Senator Jane Nelson (R-Flower Mound) will emcee the evening’s event which is usually the top attended Republican fund-raising event of the year. 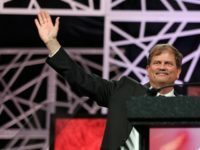 AUSTIN, Texas – Shortly after being elected as chairman of the Republican Party of Texas, Tom Mechler paused for a moment to talk with Breitbart Texas about his vision for Texas politics and the daunting task of filling the Texas sized shoes of outgoing chairman Steve Munisteri. 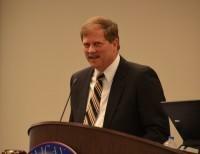 Mechler discussed building on the successes of the party in minority engagement, party unity, fundraising, and the importance of youth in the Republican Party. 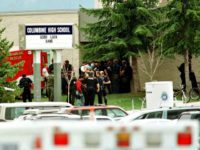 He also discussed the party’s new rules for selecting presidential delegates at the 2016 Republican Party State Convention.